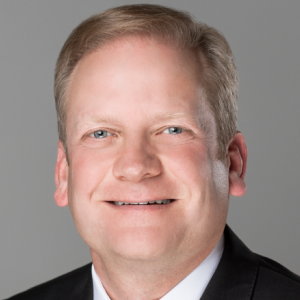 Chip Fridrich is the President and Chief Executive Officer of Fridrich, Pinson & Associates. He is a graduate of Montgomery Bell Academy and Vanderbilt University. While at Vanderbilt, he was a scholarship baseball player for the Commodores as a pitcher and was named Academic All Southeastern Conference during his senior season. Upon graduation in 1990, Chip attended the USF&G Commercial Insurance School in Baltimore, Maryland and then joined the agency. Chip is a Past President of the Insurors of Nashville and is a two term member of the Insurors of Tennessee board of directors. He served for three years as a director for the Middle Tennessee region (Region II) from 2015-2017 and is currently a member of the Executive Committee for the state organization. He will serve as the President of the IOT beginning in January 2022. Chip specializes in a broad spectrum of insurance industry sales and risk management consulting including large national account exposures, middle market commercial accounts, personal lines, and life insurance sales. Under his guidance, the agency has become a prominent player in the niche area of high net worth personal lines coverage. Chip serves on the Oak Hill School Board of Trustees – a long standing elementary school in Southwest Nashville. He has remained active in the sports community coaching youth sports and broadcasting sporting events on both local radio and regional/national television. In addition, he is a certified SPIN instructor and has lead various classes weekly for over a decade at the Green Hills YMCA center a few blocks from his office. He is also an ownership partner in Fridrich & Clark Realty, the agency’s sister firm, and is a licensed affiliate broker and designated Realtor. He achieved the Nashville Board of Realtors Lifetime Sales Achievement Award at age 26 when he joined the Million Dollar Sales Club for four consecutive years..
Chip is married to the former Heather Knapp. They have three young children – Hannah, Gerald Dowden Fridrich III (Dowden), and Lewis – and attend St. Henry Catholic Church.